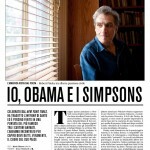 I photographed former US Poet Laureate and author Robert Pinsky at his home in Cambridge, MA for IL Magazine (Italy). Photographed the now Senator Elect from Massachusetts Scott Brown last night at the Republican Election Night Headquarters at the Boston Park Plaza Hotel for the New York Times. 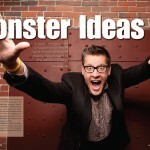 A cover feature and spread for Electronic Retailer Magazine of Monster.com and Eons.com founder Jeff Taylor. Photographed at his company’s offices in Charlestown, MA. I photographed Tara Connelly, the vice-president of the Cambridge Running Club, near Harvard Square in Cambridge, MA for a feature in the New York Times newspaper. 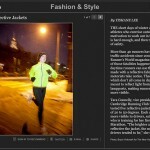 The story is about how she gear tested five different running jackets for the publication.